The Dow Jones industrials climbed back above 10,000 Wednesday after investors had second thoughts about the heavy selling in the stock market during the last two weeks. Stocks soared and the Dow rose 275 points after a modest gain Tuesday. It was the market's first back-to-back advance since mid-June and the first close above psychological benchmark of 10,000 since June 28. But analysts warn that the buying doesn't mean that investors are more optimistic. They said there wasn't a single catalyst behind the move and that it looked like a case of investors scooping up stocks that had become cheaper after heavy losses. "It's just more of a reaction to a little bit too much negativity," said Marc Harris, co-head of global research for RBC Capital Markets in New York. 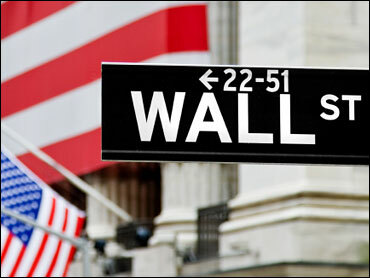 The Dow and broader indexes gained more than 2 percent. Trading volume was light, however, signaling that many skeptical investors were staying out of the market. Interest rates rose as some investors dumped Treasurys in favor of riskier assets like stocks. Financial stocks rose on an upbeat profit forecast from State Street Corp. The stock gained 9.9 percent. Materials stocks rose after having logged steep drops over worries about the economy. Aluminum producer Alcoa Inc. climbed 3.3 percent, while U.S. Steel rose 5.7 percent. With no major economic reports, traders prepared for the government's weekly report on jobless claims Thursday. Retailers also will report monthly June sales results. The reports draw attention because high unemployment and slowing consumer spending remain the biggest obstacles to a stronger rebound. Stocks have fallen for more than two months following a stream of economic reports that haven't met forecasts. The numbers indicate that the economy is growing, though not as fast as investors had hoped earlier this year. Jack Ablin, chief investment officer at Harris Private Bank in Chicago, said the forecast from State Street bolstered confidence ahead of earnings for the April-June quarter. However, Ablin said he didn't expect the bounce to continue because so much more earnings news is yet to come. "I don't think any investor wants to commit one way or another with the whole string of earnings announcements" due later this month, Ablin said. According to preliminary calculations, the Dow rose 274.66, or 2.8 percent, to 10,018.28. The Dow rose 57 points Tuesday. The index hasn't risen two straight days since June 17-18. The Standard & Poor's 500 index rose 32.21, or 3.1 percent, to 1,060.27, and the Nasdaq composite index rose 65.59, or 3.1 percent, 2,159.47. Bond prices fell, driving up interest rates. The yield on the 10-year Treasury note rose to 2.99 percent from 2.94 percent late Tuesday. The yield fell below 3 percent last week for the first time since April 2009. The 10-year yield is used as a benchmark for interest rates on consumer loans and mortgages. The dollar fell against other major currencies, including the euro. Crude oil rose $2.09 to $74.07 per barrel on the New York Mercantile Exchange. Gold rose. State Street rose $3.29, or 9.9 percent, to $36.63. Alcoa advanced 34 cents, or 3.3 percent, to $10.55, while U.S. Steel rose $2.17, or 5.7 percent, to $40.39. About six stocks rose for every one that fell on the New York Stock Exchange, where volume came to 1.3 billion shares, in line with Tuesday. The Russell 2000 index of smaller companies rose 21.63, or 3.7 percent, to 611.66. Overseas markets closed higher after sliding in early trading. European investors are awaiting a Thursday meeting of the European Central Bank. Traders are expecting the bank to keep interest rates unchanged, but will want to get details on the European Union's stress tests on banks. The tests could provide insight into how European banks could be hurt by a further slowdown and the rising debt of countries like Greece, Portugal and Spain. Britain's FTSE 100 rose 1 percent, Germany's DAX index rose 0.9 percent, and France's CAC-40 climbed 1.8 percent. Japan's Nikkei stock average fell 0.6 percent.